What is Feeder Circuit Compliance and where is it applicable? The feeder circuit is the primary power input that delivers power throughout the panel. 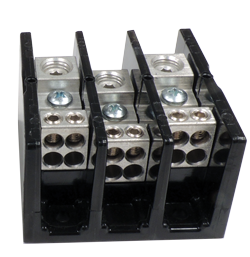 In the past, UL standards only required "RECOGNIZED" terminal blocks to be used in this circuit. But today, UL has updated their standards to require "LISTED" power distribution blocks with increased spacing to be used. 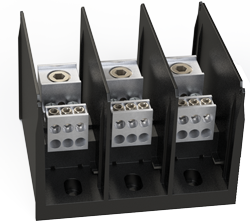 all power blocks were "RECOGNIZED"
Our 134, 135 or EPB series provide a simple, cost effective solution for feeder circuit compliance.